Police in Tamale have arrested 7 persons for allegedly possessing two AK 47 assault rifles and 18 spent ammunition shells of same. 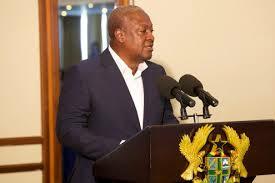 Northern Regional Police Public Relations Officer (PRO) ASP Ebenezer Tetteh who confirmed the incident to ultimate1069.com, said Mahama Saani Mustaf and Issah Suale both in their early 30s, traveled to Jantong Dabuase near Salaga in the East Gonja District with the weapons. The two who were traveling on a motorbike carried a sack containing the 2 AK47 assault rifles without Magazines and used an unapproved route to the farming community. Residents, who were suspicious of the two on entering the community, accosted them and during a search, retrieved the 2 guns and sent the suspects straight to the chief’s palace after the assemblyman of the area had been informed. 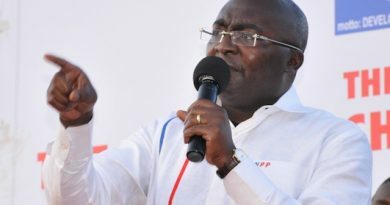 While the chief and his cabinet were still deliberating on the matter at the Palace, one Iddrisu Ibrahim Wumpuni a resident of Lamashegu a suburb of Tamale, showed up and tried to plead with the chief for the suspects to be freed indicating they were his boys. 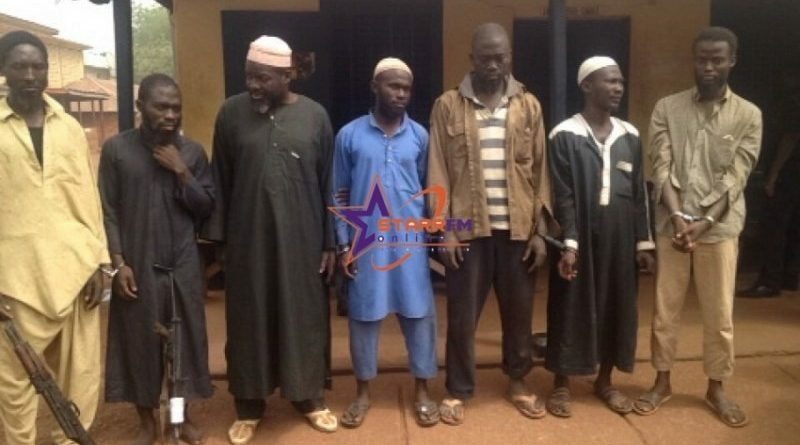 Police in Tamale were immediately informed and on arrival arrested the said Iddrisu Ibrahim Wumpuni and four more suspects who had also gathered at the Palace with the view of pleading with the chief to set the suspects free. 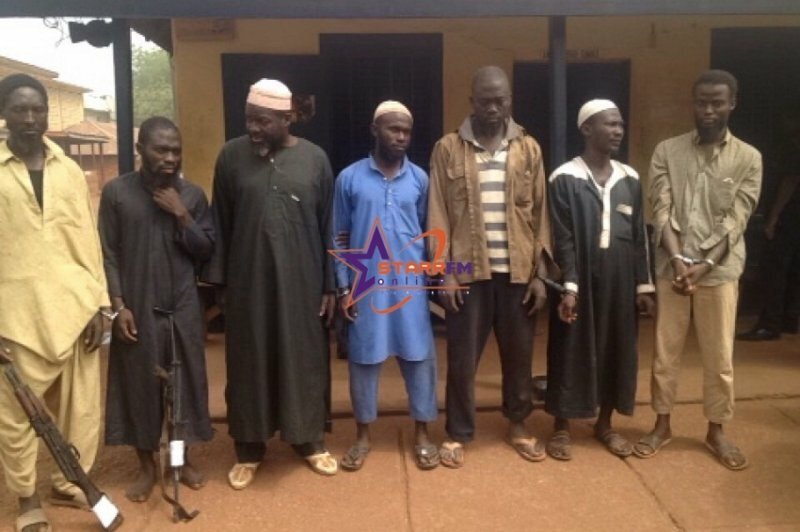 All seven were transported to Tamale and during a search in their rooms, police retrieved the 18 used AK47 ammunitions and a radicalized book believed to be used in their operations. 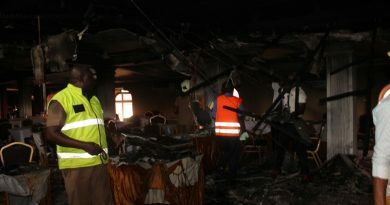 ASP Tetteh disclosed that all four will soon be arraigned before court for illegally possessing weapons.